“If you do law, sure you can be a lawyer, but you could also be so many other things. It just keeps so many options open,” she says. 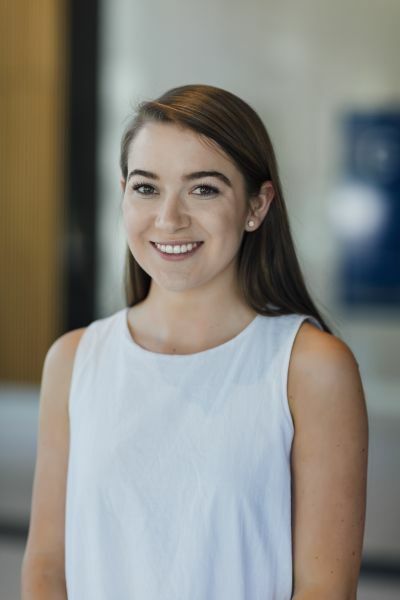 For Maddie, now in her second year of law, MLS has been the perfect fit for her creative bent, with a variety of subjects and extracurricular activities allowing her to taste the many flavours law has to offer. “It’s good that there is so much going on at the law school you can participate in,” she says. Working in fashion while completing her studies, Maddie is now also finding time to act as one of two editors for Purely Dicta in 2017, the official magazine of the Melbourne Law School Students’ Society. Editing the magazine involves bringing together some of MLS’ best writers and focusing their talents on law, the arts, and everything in between. “It hasn't had a very legal focus in the past so we're thinking of doing maybe half legal, half miscellaneous; whatever people want to write,” she says. Maddie has hit the ground running since arriving at MLS; something that she puts down to the welcoming nature of her peers and the law school. She previously studied Linguistics and French, but took the undergraduate subject Principles of Business Law as part of her Bachelor of Arts to gain her first experience of law. It was one that left an impression. “I loved that subject. I thought it was so logical, so easy to understand,” she says. With a flair for fashion, Maddie has had a few thoughts on her ideal career path. “Throughout my whole life I’ve always loved fashion and I think it would be awesome if I could somehow work as a lawyer in fashion, maybe at a big corporation or in-house at a fashion brand,” she says. Proving emphatically that the multitude of options offered by the world of law allows ample scope for the meeting of creativity and passion.